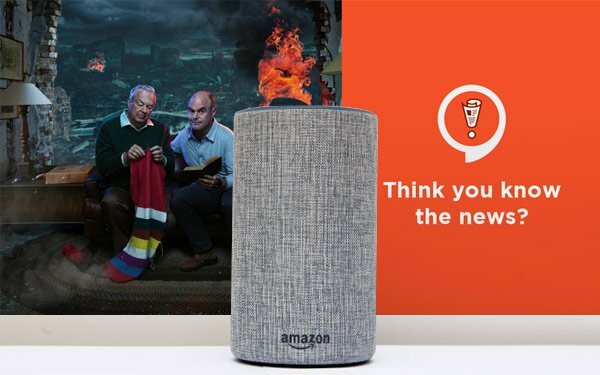 A version of the NPR trivia show “Wait Wait ... Don’t Tell Me” has been created for smart speakers. The "Wait Wait" Quiz interactive game has been created to be played on Amazon Echo and Google Home devices. The show is hosted by Peter Sagal and Bill Kurtis, who also interact via smart speakers. Smart speaker users can start the show by saying "Alexa, open 'Wait Wait' Quiz" or "Hey Google, talk to the 'Wait Wait' Quiz." The quiz, modeled after the "Wait Wait ... Don’t Tell Me" radio show, updates weekly and takes about five minutes to play, which can be alone or with others. The show asks a series of questions based on the news of the week.